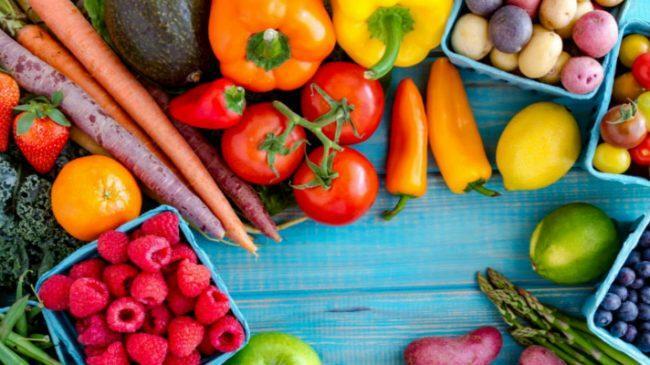 This article provides the definitive guide to plant-based eating for anybody looking to get started on a diet that lowers the risk for chronic disease or for those of you looking for the diet that is best for long term good health. Even those of you already suffering with disease can improve your health and reverse some symptoms by implementing plant-based eating. Why would plant based eating benefit you? Many of you although desperate for solutions seek quick answers. So I will quickly conclude this article at the beginning. Then if you want the details and information to get started you will read on. There is overwhelming scientific support for plant-based eating. We know from a vast amount of research that the healthiest form of plant foods for us is whole and unrefined (fruits, vegetables, grains, legumes, nuts, and seeds). There is evidence showing us that we can control our health largely by what we eat. When we consume a whole food plant-based diet, with minimal additions of fat, salt, sugar and other refined ingredients, we optimize the internal system that gives us life. Our health is best supported by this type of eating. Alas a majority of you don’t follow this type of diet. Instead you eat the traditional Western diet where you consume plentiful portions of meat, dairy, eggs and/or highly processed foods with three meals a day and where you consume less than 10 percent of your calories from whole plant foods and this unhealthy diet takes its toll within our bodies and on our health. Hippocrates, known as the father of medicine, is reported to have said several thousand years ago: “Your food will be your medicine, and your medicine will be your food.” He was referring to the human body’s ability to promote health as long as we feed it the right stuff. So why all these years later are we not all eating a plant-based healthy diet? Heart disease, cancer, diabetes, and other diseases are almost nonexistent in whole-plant-eating cultures. This is because a diet of whole, plant-based foods has the potential to not only prevent chronic disease but also cure it. We can simply change what we put in our mouths every day. By eating a health-promoting diet, we have the power to reverse many personal problems and better still avoid them in the first place. The traditional Western diet that many of you have been on throughout your lifetimes, is one that promotes a long list of health problems and chronic illnesses for example, cancer, clogged arteries, diabetes, digestive disorders, gout, heart attack, constipation, cancer, hypertension, obesity and strokes. • Grains – By definition, a “whole grain” contains all parts of the seed, while refined grains often have the bran or germ removed, leaving just the highly starchy endosperm. Refined grains, such as white bread, white pasta, white rice, have very little nutritional value and often have synthetic forms of nutrients added during processing..
• Processed food– Processed foods are linked to obesity, diabetes, and numerous heart problems. Broadly speaking, processed foods are essentially all products that have been manipulated in some way, shape, or form. Highly processed foods are chemically changed or mechanically manipulated and often have salt, sugar and fat added for flavouring. • Soft drinks – Strong evidence shows that drinking sugary drinks increases the risk of obesity or weight gain in children and adults, and other chronic conditions, because of the sugar and high-fructose corn syrup that they contain. • Baked goods – Most commercially-prepared baked goods contain Margarines and processed vegetable oils; white flours; refined sugars; and heavy amounts of preservatives and additives and can lead to clogged arteries, hypertension, heart failure, and other illnesses. • Fried Foods – Various studies have found correlations between fried foods—particularly meats—and the prevalence of cancers developing in the body and had a greater risk of both type 2 diabetes and heart disease. • Salt – A diet high in salt can cause raised blood pressure, which can increase your risk of heart disease and stroke. Commonly purchased table salt have synthetic chemicals added to them. These chemicals include everything from manufactured forms of sodium solo-co-aluminate, iodide, sodium bicarbonate, fluoride, anti-caking agents, toxic amounts of potassium iodide and aluminum derivatives. Most packaged and processed foods contain astronomical amounts of these chemicals. More and more evidence seems to be pointing the finger at diet as being the cause of much of the misery and chronic illnesses many people are experiencing. As I see skyrocketing incidences of chronic disease, I am profoundly aware that there is so much potential for preventing or even reversing most of these problems through very inexpensive lifestyle changes centered on plant-based eating. It no longer makes any sense to continue eating the old traditional diet. I really confess, that it irks me that so few people seem to know about the dangers of traditional diets or know how easy and healthy it is to implement plant-based eating. A whole-food, plant-based diet is the answer to healing our bodies. Changing your diet and lifestyle to a whole-food, plant-based diet has the power to prevent and treat chronic disease, transforming your life for the better. It is a fact that vegetarians enjoy lower levels of blood cholesterol, less obesity, less hypertension, and fewer other problems than people whose diet includes meat. Yet less than a quarter of all adults eat the recommended number of daily servings of fruits and vegetables. Is there any wonder to why there is such a growth in chronic illnesses? • Cholesterol. Vegans have 28percent lower LDL cholesterol levels than meat-eaters. Lacto-ovo vegetarians (does not eat meat, but does consume some animal products such as eggs and dairy) and fish-eaters have levels between those of vegans and meat-eaters. • Based on blood cholesterol levels, the researchers estimated that heart disease rates would be 24percent lower in lifelong vegetarians and 57percent lower in lifelong vegans than in meat-eaters. • Heart disease. Vegetarians have a 28percent lower death rate from heart disease than meat-eaters. • Blood pressure. Vegetarians have lower blood pressure and a lower rate of hypertension than non-vegetarians. Vegans have the lowest blood pressure and the least hypertension, followed by vegetarians and fish-eaters; non-vegetarians have the highest rates of hypertension. • The EPIC-Oxford study found hypertension rates of 9 percent in lacto-ovo vegetarians and 13 percent in non-vegetarians. • Diabetes. Mortality from diabetes is markedly lower for vegetarians (and for health-conscious non-vegetarians) than for the general population. Based on this evidence and many more similar findings it is clear that a whole-food, plant-based diet can prevent, halt, many chronic illnesses. Furthermore, after switching to a plant-based diet, people routinely report experiencing or seeing in others improvements in a range of ailments, including osteoporosis, arthritis, headaches, acne, asthma, sexual dysfunction, reflux, lupus, inflammatory bowel disease, constipation, irritable bowel syndrome, dementia, Alzheimer’s, multiple sclerosis, infertility, insomnia, and sleep apnea. Evidence also indicates that eating a whole-food, plant-based diet improves cognitive function and protects against dementia and Alzheimer’s disease. Most people experience greater clarity of thought, improved ability to concentrate, and better memory when they switch to plant-based eating. There can be no denying the sense it makes to begin plant-based eating and removing meat and dairy. The evidence is overwhelming, and the benefits clearly immense. 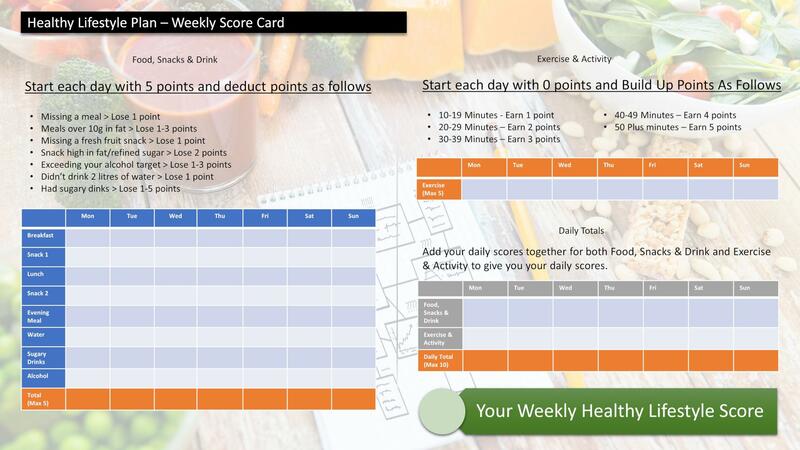 Are you at the point where you are ready to make the necessary changes to improve your health, help you lose weight and feel better? It is a no brainer surely? Anyone wanting to improve, stabilize, or even reverse a chronic condition such as heart disease, high cholesterol, diabetes, or high blood pressure must implement plant-based eating. Anyone wanting to give themselves and their family the best chance of long term good health needs to move to predominantly a plant-based diet. It is time to say no to a diet full of artificial and modified ingredients, or foods that are destined to make you ill. The reasons to implement plant-based eating are extensive. • Lower cholesterol, blood pressure, and blood sugar. • Prevents, arrests, and even reverses chronic conditions. • May slow the progression of certain types of cancer. • Improved symptoms of rheumatoid arthritis. You can accomplish a healthy life far better with your own food choices than a doctor can with medical treatment. The power is in your hands! Letting food be your medicine is the smartest step you can take to ensure good health now and in the future. A whole-food, plant-based eating diet will improve your health! Surely its worth trying, and this article is going to enable you to do just that. What is a low-fat, whole-foods, plant-based eating? I just want to make it clear what we mean by plant-based eating. Simply eating plant foods in their whole, unprocessed form, such as vegetables, fruits, beans, lentils, seeds, whole grains, nuts, seeds, and legumes both raw and cooked. These foods are excellent sources of carbohydrates, good fat, protein, phytochemicals, vitamins, and minerals. Eating plant-based foods in forms as close to their natural state as possible is the recipe for good health. Plants provide fiber and they are also sources of antioxidants. Fruits and vegetables are especially rich in antioxidants and they also provide thousands of other types of phytochemicals that can help our body thrive and stay well. Phytochemicals are not essential nutrients; that is, they are not required for life. But they appear to have extensive benefits that protect and promote good health. In addition, whole grains, such as rice, wheat, quinoa, oats, and barley are full of fiber that helps lower blood cholesterol and keeps the intestines healthy. Nuts and seeds offer up healthy fats, including some that are essential nutrients and others that reduce risk for heart disease. Finally, legumes, such as lentils, chickpeas, kidney beans, black beans, soybeans, and white beans, provide the perfect combination of fiber, protein, and slowly digested starches to help lower blood cholesterol and promote feelings of satiety and satisfaction after a meal. Vegetables – Vegetables are rich in a vast number of health-promoting nutrients, including vitamins A and C, many B vitamins, and fiber. Eat a variety of colors to ensure you’re consuming a wide array of nutrients. Fruits – Fruits can be rich in fiber, vitamin C, vitamin A, and antioxidants. Choose whole fruits over fruit juice, which is void of fiber. Like vegetables, eat a variety of colors to get the greatest array of nutrients. Choose from a wide variety of fruits and have them daily. They are packed with vitamins, minerals, enzymes, antioxidants, and phytonutrients. All the good stuff your body needs to operate at its best and prevent disease. 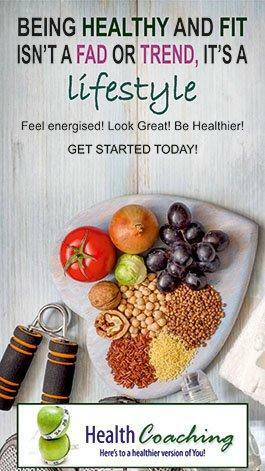 Legumes – Beans, peas and lentils (also known as legumes) are rich in protein, fiber, calcium, iron, and B vitamins. Eat a variety of legumes, such as lentils, chickpeas, black beans, pinto beans, and organic soybeans (called edamame). Nuts & Seeds – Nuts and seeds are rich in protein, calcium, and healthy fats called omega-3 fatty acids. Eat nuts and seeds like walnuts, cashews, almonds, pecans, sesame seeds, flax seeds, or sunflower seeds in small amounts — only a small handful a day — as they are high in calories. Whole Grains – Whole grains are rich in B vitamins, vitamin E, fiber, zinc, iron, other minerals, and a multitude of phytochemicals; these last are naturally occurring chemicals in plants. The best way to eat grains is in their most whole form that have not been processed to remove the high fiber bran and germ, which contain much of the protein, vitamins, and minerals, like brown rice, quinoa, bulgur, barley, oats, and corn. Whole grains can also be eaten in the form of whole grain breads, tortillas, and pastas, although these processed choices are less nutritious. Acorn squash, Butternut squash, Beetroot, Carrots, Cassava (yucca), Corn, Green Lima Beans, Green Peas, Parsnips, Plantains, Potatoes, Pumpkins, Radish, Taro, Turnip, Sweet potato, Sweetcorn, Water Chestnuts, Winter Squash, Yams. Adzuki Beans, Black Beans, Black-Eyed Peas, Butter Beans, Cannellini Beans, Chana Dal, Chickpeas, Dried Split Pea Flakes, Edamame (Green Soybeans), Fat-Free Vegetarian Refried Beans, French Lentils, Garbanzo, Great Northern, and Adzuki Beans; Green Split Peas, Hummus, Kidney Beans, Lentils, Lima Beans, Orange Lentils, Pinto Beans, Red Beans, Red Lentils, Soya Beans, Tempeh, Tofu, White Beans, Yellow Split Peas. Barley, Brown Jasmine Rice, Brown Rice, Buckwheat, Bulgur, Couscous, Faro, Millet, Oats (Old-fashioned, rolled), Quinoa, Polenta, Rye, Sorghum, Wild Rice. Whole-Grain Bread, Wholegrain Unsweetened Cereal, Whole-Wheat Pasta, Whole-Wheat Tortillas. Artichoke Hearts, Arugula, Asparagus, Bok Choy, Broccoli, Brussel Sprouts, Cabbage, Cauliflower, Celery, Collard Greens, Cucumbers, Eggplant, Fennel, Garlic, Green Beans, Kale, Leeks, Lettuce, Mushrooms, Mustard Greens, Onions, Parsley, Peppers, Salad greens, Spinach, Sugar Snap Peas, Summer Squash, Swiss Chard, Tomatoes, Zucchini. Almond/ Macadamia/Peanut Butter (All-Natural, No Additives), Almonds (Raw), Brazil nuts, Cashews (Raw), Chestnuts, Chia Seeds, Coconut Oil , Flaxseed, Hazelnuts, Hempseeds, Macadamia nuts, Olive Oil, Olives, Peanuts, Pecans (Raw), Pine Nuts, Pistachios, Pumpkin Seeds, Sesame Seeds, Soy nuts, Sunflower Seeds (Raw), Tahini (Sesame Butter), Walnuts (Raw). Apples, Apricots, Avocado, Bananas, Blackberries, Blue Berries, Cherries, Cranberries, Dates, Figs, Grapefruit, Grapes, Kiwi, Lemons, Limes, Mandarin oranges, Mango, Melon (watermelon, cantaloupe, Honeydew etc. ), Nectarines, Oranges, Papaya, Peaches, Pears, Pineapple, Plums, Pomegranates, Raisins, Raspberries, Strawberries, Tangerines. Plant based eating does not include animal-derived foods, such as meat, poultry, fish, dairy, and eggs. It also does not include processed foods, including oil and sweets. Dairy Products – Dairy is high in unhealthy saturated fat and cholesterol. Whether whole or skim, all contains casein, the protein found in cow’s milk and other dairy products made from cow’s milk. Some research has shown that this type of protein has hidden dangers. Meat, Poultry and Fish– Meat and poultry are high in unhealthy saturated fat and cholesterol. Fish is also high in cholesterol and industrial pollutants. Eliminate or restrict beef, lamb, turkey, chicken, pork, bacon, fish, or shellfish. Basically eat nothing that had a mother! Eggs – The USDA National Nutrient Database records that a whole, cooked, hard-boiled egg has 155 calories, no fiber, and 10.6 grams of fat. Research shows that yolk consumption accelerates the development of the deadly plaque that causes heart attacks and strokes. Processed Oils – Unlike whole plant food sources of fat, processed oils are lower in nutrients and higher in calories. Despite what you’ve heard, even olive oil is not a health food — it’s 100% fat. All the oils and essential fat we need exist in the proper proportions in whole foods. There is no need to extract them from the olive, corn, coconut, sunflower, or any other whole plants. Consuming food in its whole intact form is the best way to get the proper amount of essential fats we need. This also means no cooking spray—it is possible to cook without oil in the pan. Refined Grains and Added Sugar – Unlike whole grains, refined grains are comparatively void of fiber. Refined grains and added sugar are often found in processed foods, which are linked to obesity and other chronic diseases. Highly refined processed products: products made with refined white flour, sugar, fats, and oils such as pastries, cookies, cakes, and expelled vegetables oils/ Sweets and pastries are fleeced of their original fiber, vitamins, minerals, and phytochemicals, and deliver a surge of sugar and fat to your body. This can heighten your risk for disease and weight gain. The same goes for vegetable oils—at 120 calories per tablespoon the most calorie-concentrated edible there is. Consume minimal salt. Minimal means “little to none.” There are many other ways to spice up your food: vinegar, balsamic glaze, spices, herbs, lemon juice and zest, lime juice and zest, other citrus fruit juices and zest. All my life I’ve loved my food, regularly enjoying steak, meat-based meals, eggs, and all the other hallmarks of a diet heavy in animal products and processed foods. Having experienced ill health for over two years, having tried everything I possibly could to restore myself to good health, to me although the idea of changing my diet so dramatically by implementing a plant based diet didn’t sit comfortably, I was willing to give it a go because nothing was more important to me than rebuilding my life. This was probably the best decision I’ve ever made. I’ve been eating a plant-based diet for about 12 months now, and that change has been the catalyst for a whole load of positive changes in my life which have made me a healthier, happier human being. Eating this way is now second nature, but it didn’t come easy at first. More than once, I nearly gave in to temptations and went back to my old habits. I’m not alone in this regard: adopting a plant-based diet and making it last is easier said than done, but the benefits make it so worth it. It’s time to start actually eating plant-based. But when making the transition to a plant-based lifestyle, what do you think is the best way to go—jump in all at once, or take your time? Overnight overhaul? Or should you make doable changes in small increments, eliminating animal products and processed foods over time? You can go full in or take a step by step approach. The latter would involve phasing out certain foods on the way to complete plant based eating. For example, start by excluding meats such as beef and pork, followed by letting go of chicken, then fish. From there, ditch dairy and then eggs—by which time you’ll be a fully committed plant based eater and seeing obvious health changes. There are other options such as introduce meatless Monday or go plant based 5 days a week, Monday to Friday, and reintroduce meat and dairy over the weekend. My belief is that to see the true effect of cutting out all these ‘poisons’ you have to adopt a full in approach. But of course how you get started is up to you. I urge you to get started which ever way you choose. A great way to implement plant-based eating is to aim to consume at least 80 per- cent of your calories from whole, unrefined, plant-based foods, with an emphasis on green leafy vegetables, legumes, and fresh fruits. Scaling back on meat, processed foods, dairy and sugar and filling up instead with vegetables, whole grains and fruits will have health benefits, such as lowering your blood pressure, reducing your risk for heart disease and preventing cancer and diabetes. You’ll lose some weight, sleep better and boost your energy. My experience helping others getting started on plant-based eating tells me that providing you with a food list isn’t enough. Providing you with ideas for meals is fundamental to help you start off. So let me now give you a few examples of meals you can eat. Grain Brunch Bowl – brown rice, chopped tomatoes, cucumber, peppers and artichoke hearts, olives, sliced avocado, topped off with mixed herbs and tablespoon of seeds. Pita Falafel Sandwich with Tahini Sauce – wholemeal pita bread stuffed with chickpeas Falafel, chopped red onion, fresh parsley, garlic, teaspoon ground cumin, Dill pickles sliced, sliced tomatoes, red onion sliced, Shredded lettuce. Hummus and veggies wrap – Wholemeal tortilla filled with hummus, kale, red onions, carrots, tomatoes and olives, lemon juice. Pasta Puttanesca with Spinach – whole grain vermicelli pasta, chopped onion, garlic, sun-dried tomatoes, olives, spinach, Chopped parsley. Pasta with Spinach, Green Beans & Tomatoes – whole grain penne pasta with fresh green beans, cherry tomatoes, baby spinach leaves, fresh basil leaves, fresh mint, garlic. Stir-fry with broccoli & brown rice – mixed frozen vegetables, broccoli, red onion, garlic, red pepper, mild chilli powder over a bed of brown rice. Loaded baked potato – jacket potato filled with black beans, salsa, and some sliced avocado. My favourite lunch or dinner is very simple but sensational. Let me share with you my go to meal idea, the Big Bowl of Goodness. Build layers and all the flavors will meld together, making every bite scintillating! Instead of a bowl you could put it in a wrap or inside a pitta. Stock your refrigerator, pantry, workplace, and every place else you eat with appropriate foods and supplies. Divest them of everything that isn’t. This is a statement of intention. It sends the message that you mean business and is a powerful way to support yourself. You now have all you need to get started on plant-based eating. I know many of you once started on plant-based eating are going to want to read much more. The following books are ones I found very informative. • Eat to Live by Joel Fuhrman. • The McDougall Plan by John McDougall and Mary A. McDou- gall. • Prevent and Reverse Heart Disease by Caldwell Esselstyn, Jr.
• The Spectrum by Dean Ornish. • No More Bull! by Howard Lyman. • The Engine 2 Diet by Rip Esselstyn. Do yourself a favour and try adopting plant-based eating! Hi Larry, it’s nice to see that you’re still helping people with their health! I’m not sure if this is the right time of the year though, as in July it’s “barbecue dayz”, and people have meat on their mind quite a bit. Meeeaaattt!!!…lol. Although some of your vega-recipies do sound quite tasty!